Place peanuts in food processor fitted with the metal chopping blade. Turn processor on high and chop/grind peanuts until smooth (usually no more than 5 minutes). You may find it necessary to scrape down inside of the processor bowl halfway through. Store in an airtight container in the refrigerator for up to 2 months. 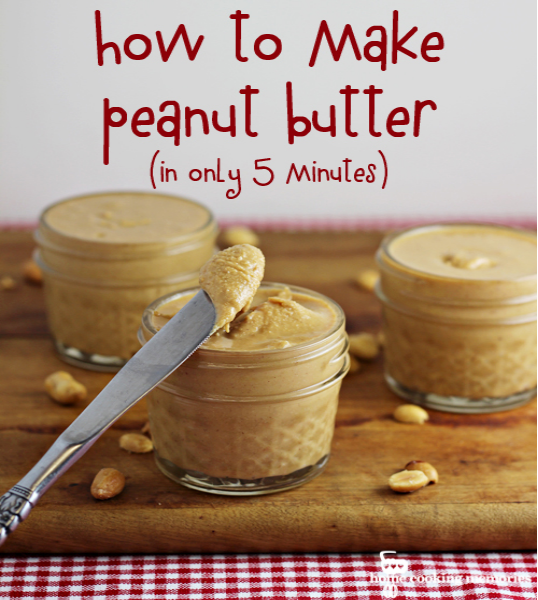 --If you wish to have chunky peanut butter, chop 1/3 - 1/2 cup peanuts and stir in at the end.